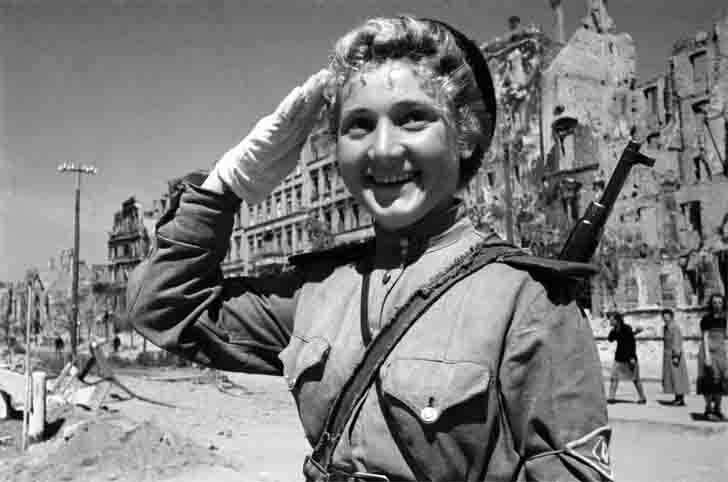 Merry Russian girl traffic cop in the defeated Berlin after the victory of the Red Army. Germany, May 1, 1945. Russian girl traffic cop armed with a carbine Mosin-Nagant model of of 1938.